Hi and welcome to the November Artisan Blog Hop today. 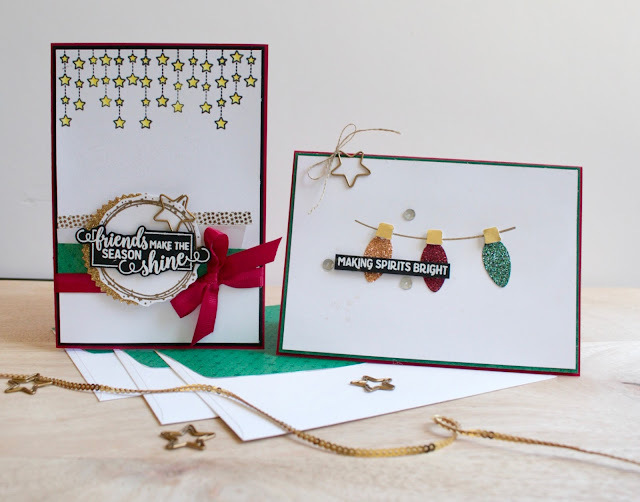 Today we are sharing some fun projects using the Merry Christmas To All and the Making Christmas Bright bundles. I have three cards to share with you today and I had a lot of fun creating these. I hope you can get some inspiration. See below for links to all the Artisan Blogs and the cards I have created. I have linked the products I have used at the bottom of this post. Here’s a look at the finished cards. 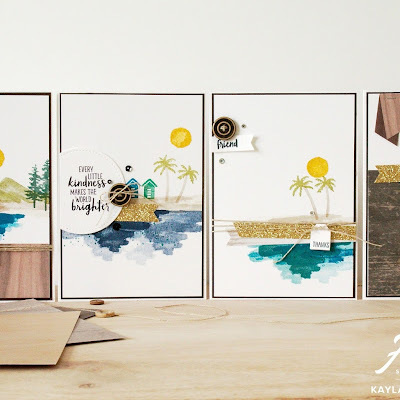 I made three cards in total featuring this suite of products and could have made many more, with these gorgeous products. I really fell in love with that fun Christmas Light Bulb punch and can’t wait to make many strings of lights. 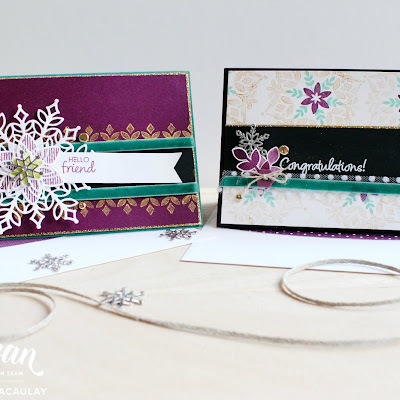 I kept the cards fairly simple and focuses on the gorgeous patterned papers and stamp sets. As you can see underneath I also made decorated envelopes to match and added All is Bright Designer Series Paper to the back envelope flap to make sure that they coordinate with the cards. I love making matching envelopes as I think, I spend all this time creating a handmade card that I may as well make a pretty envelope to match. 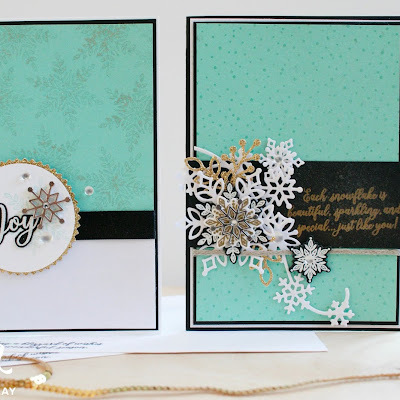 For the top two cards I focused on using the All is Bright bundle of products and the bottom card, I used the Merry Christmas to All bundle and focused on a large sentiment with gold embossing. I hope you enjoyed looking at what I have created today with these two bundles of products, they were a lot of fun to work with. 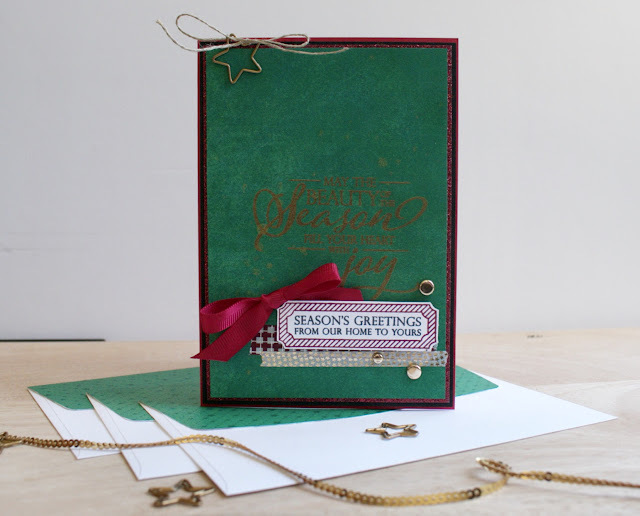 Now you can pop along to the amazing Kim McGillis’s blog to see what she has created. Thanks so much for popping by my blog today. I hope you got some inspiration from this hop to go and make some fun Christmas cards.